Description: Black and gray template, Special slide, hyperlink, extra navigation link, available elegant icon, custom title text with wordart style, default and standard font, completed by custom shapes, compatible for pictures presentation, little bit confused to edit. 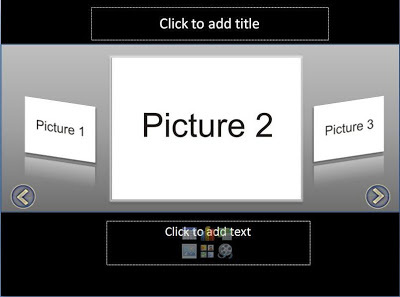 How to change a picture: right click on the picture 1, choose “change picture”, choose the picture that you want add. We provide an example for this template. click bellow to download.